﻿Ticket sales cover only a portion of Coeur d'Alene Summer Theatre's operating expenses. We are committed to remaining accessible for families through keeping our prices reasonable. Please support us by becoming a donor. Coeur d'Alene Summer Theatre is a 501 (c) 3 non-profit organization under the IRS Federal Tax Code and donations are tax-deductible as allowed by the law. Your gift will have a tremendous impact in the lives of hundreds of patrons. If you don’t have an amazon account, sign up! Select Carrousel Players of the Coeur D Alene Summer Theatre Inc. It will automatically save it for you. Then just shop, shop, shop. It’s that easy! Everytime you make a purchase at Fred Meyer and swipe or use your reward card, a percentage of that money can be given to a non-profit of your choice (CST)! Immediately! 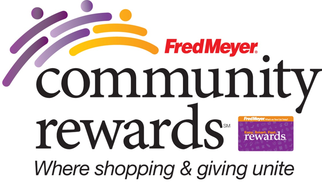 Go buy anything at Fred Meyer and start earning CST money, FOR FREE!